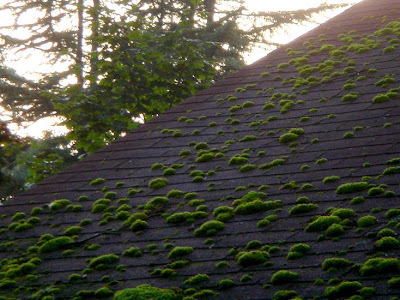 I wish my roof was covered with luscious little moss dots like these at spiritcloth.typepad.com a! They look like the tops of little green cupcakes! I imagine these would cover little gnome and hobbit households. 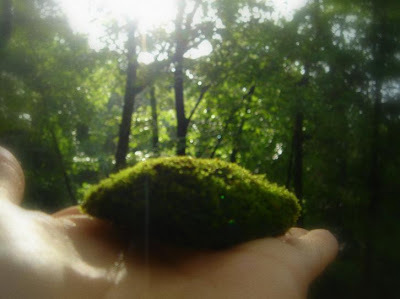 The mosses are so "cute". Cannot imagine it manage to grow in this manner. Drop by my place, I have something to share you, they are beautiful ferns. ha! thanks for making my roof famous!